Dynamic NC in Rose Hill, Kan., has a true handle on how to control costs. 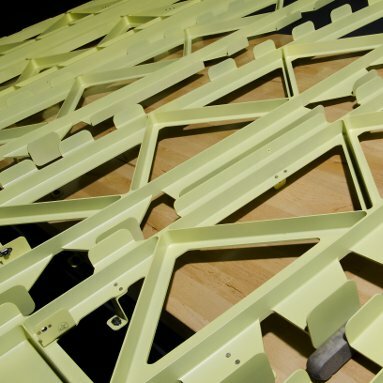 The builder of structural components for the aerospace industry knows its operating expenses and what kind of impact its equipment can have on an engineer’s ability to perfect the production process. It also understands how this ultimately provides the competitive costs necessary to help the company win the next job. Gibbs started Dynamic NC in 2007 to specialize in the production of complex structural aircraft components and engine-mount components. He knew there was a niche for working with hard metals on jobs others didn’t want to tackle. Gibbs was optimistic, building the facility to accommodate future growth. And thanks to its mission of providing its customers with the best quality part at the absolute lowest cost, Dynamic NC has doubled its sales each year since it began. 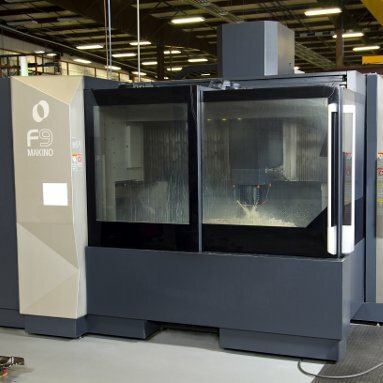 Dynamic NC recently won a bid to machine hard-metal (13-8 stainless steel) 5-axis structural components and needed to purchase equipment to handle this work. Because of the pressures inherent in the aerospace industry, it needed a machine that could help it lower costs for that order. The company went in search of the equipment that would best fit the package. The high-mix, low-volume production requirements of the aerospace market require manufacturers to maintain a process-oriented mindset at all times. This means continuous process research and development is a necessity, driving demand for flexible technology solutions. 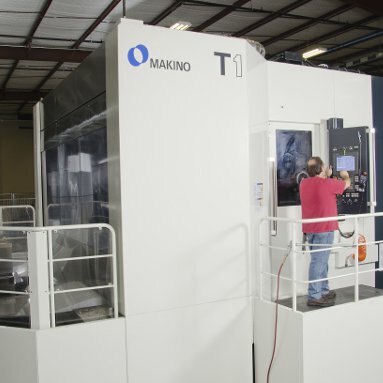 In 2013, Dynamic NC purchased a Makino a92 horizontal machining center and F9 vertical machining center to begin introducing hard-metal applications into its production environment while expanding on current capabilities as well. 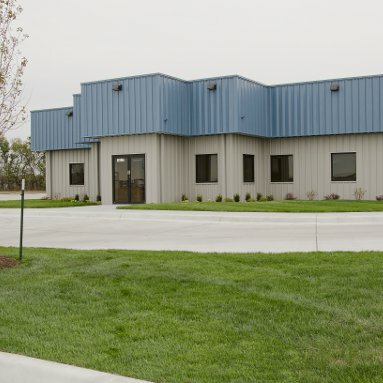 That experience, along with Makino’s reputable presence in the Wichita area, factored into the company’s decision about new equipment for its hard-metal machining applications. Dynamic NC favored the T1 for the machine’s rigidity, stability and unique kinematic structure, which offered a higher degree of flexibility in its process design and labor requirements. The 155-degree tilting A-axis and deep chest column provide full 5-axis milling capability for parts up to 1,500 mm in diameter. The Z-axis travel and ability to reach way over the table has proven to be very versatile for all of the company’s applications. Being a very process-oriented culture, Dynamic NC examines the tools it uses in its applications and how best to use them to optimize processes. Engineers recognize that the cost associated with tooling for hard-metal machining isn’t cheap, thus tool life is critical to its goal for lowest part costs. The machine’s high-pressure, high-volume through-spindle coolant has also been essential in delivering coolant precisely to the cutting zone, effectively cooling the tools while evacuating chips to prevent recutting. “The T1 gets coolant to the deep pockets, no matter the size of the tools,” said Jones. “These features have led to significant improvements in tool life across all applications. The T1 can handle whatever we throw at it. We regularly test the limits of the machine, and the active damping helps the machine adjust itself to the cutting conditions. We get great reliability and virtually no downtime. The capabilities of the machine are beyond comparison to most machine tools out there. These process capabilities have enabled Dynamic NC to assert itself as the low-cost leader in hard-metal applications. 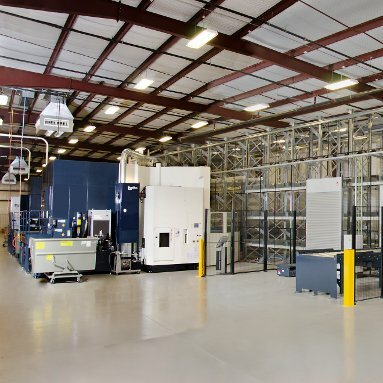 Seeking a similar level of flexibility as it had achieved in its hard-metal parts, Dynamic NC also wanted to expand its capabilities into the larger structural aluminum aerospace market. 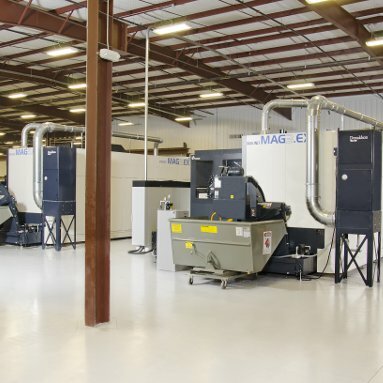 In late 2014, the company purchased two MAG3.EX 5-axis horizontal machining centers to meet these needs. As Dynamic NC steers its course toward future growth, the success that it has seen with these machines has led it to make plans to add an automated pallet-handling system to the T1 and a92 equipment, and to purchase two more T1 machines. The company also expects to install an MMC2 pallet-handling system across the existing MAG3.EX cell, and to add a third MAG-Series machine in the near future. “This kind of technology has allowed us to not only reduce costs across the board but to also be the kind of resource that our customers can count on,” said Gibbs. Founded in 2007, Dynamic NC has doubled its sales each year, allowing for the construction of its new location in Rose Hill, Kans. in 2013. Initial efforts to expand into hard metal machining applications began in 2013 with investments in an a92 HMC and F9 VMC. With the improved flexibility afforded by the T1 and a92 cell system, Dynamic has achieved cycle time reductions up to 50 percent with an 80 percent reduction in labor cost. The T1 machines’ unique kinematic structure provides Dynamic with improved part accessibility that eliminates setups and enables full five-face machining. 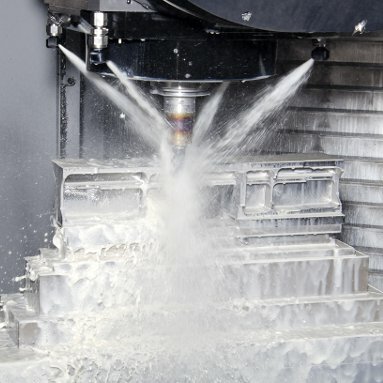 A high-pressure, high-volume coolant system enables the T1 machines to get coolant directly into cutting zone, even in deep pockets, providing up to six times greater tool life in hard materials like titanium. In late 2014, Dynamic purchased two MAG3.EX 5-axis HMCs to begin producing complex monolithic aluminum structural parts. 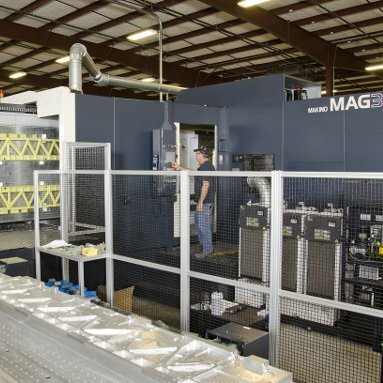 With 33,000-rpm spindles and improved spindle accessibility, the MAG3.EX cell has enabled Dynamic to reduce the total cost of operation for large aluminum structural parts. GET THE LATEST ISSUE OF RADICAL DEPARTURES, COMPLIMENTS OF MAKINO.